Small depressions on your exterior nail surface is described as pitting of the nails. It is the development of defective layers of superficial and shallow nail plates. Pitting of the nail is more common in females. 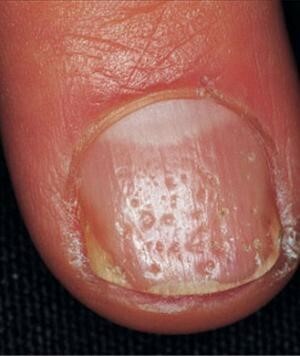 Fingernails are more prone to this condition as compared to toenails. It is found that pitted nails grow faster than a normal nail. Psoriasis- 50 percent of psoriasis patients suffers from pitting of the nails. Alopecia areata- It is characterized by hair loss. Sarcoidosis- It is characterized by swelling of the body tissues. Dermatitis- It is defined as swelling of the skin. It is characterized by Redness and itching. Onycholysis-It is defined as the separation of the nails from the nail bed resulting in white spot on the affected nail. Mostly it is caused due to fungal infection. Reiter’s syndrome- It is also defined as systemic rheumatism. It is characterized by swelling of lots of areas. Abnormal keratinization- When a person with abnormal nail keratinization exposes his hand to water the keratinization gets washed away leaving behind the pits in the nails. Alopecia- It causes shallow pits. Lichen planus- It is characterized by skin rashes. Pemphigu- It is an autoimmune disease. Incontinentiapigmenti- It is a genetic disease that affects hair, skin, nail and teeth. In the case of toenails, pitting may occur due to toenail fungus. The most obvious symptoms are the presence of small depressions. Crumbling and weakening of nails. Thickening of the nail may occur. May be accompanied with loss of scalp hair, psoriasis, eczema or swelling of the skin. Salicylic acid- In the case of pitting of the nails is accompanied with the psoriasis application of salicylic acid can give you wonderful results. It will peel outer layer and will make your nails smooth and leveled. It is easily available over the counter. Tea tree oil- Dilute tea tree oil with an equal amount of water and massage your nails 2 times a day for a few months. The antiseptic properties tea tree oil kills microbes and fungi. You may also use neem oil. 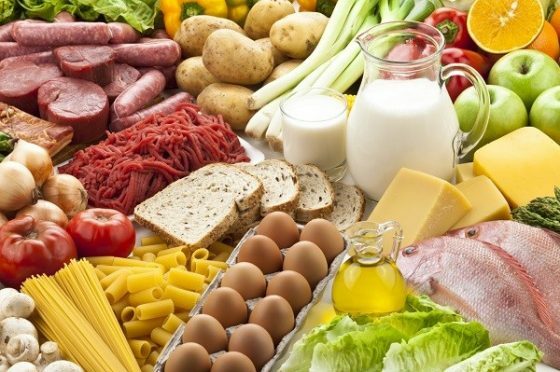 Diet- Include mineral and vitamin, Vitamin B, D, calcium, silica and iron-rich food in your diets such as fruits, green leafy vegetables, cucumber, onion, broccoli, lean meat, oats, dairy product, and egg. Avoid processed foods and drink lots of water. Keep your nails short. Avoid acetone-containing nail varnishes, nail biting and manicures. If there are multiple nails involved, it may be due to some unmanifested health issue. In such cases, treatment of the underlying disease may reduce pitting of the nails.